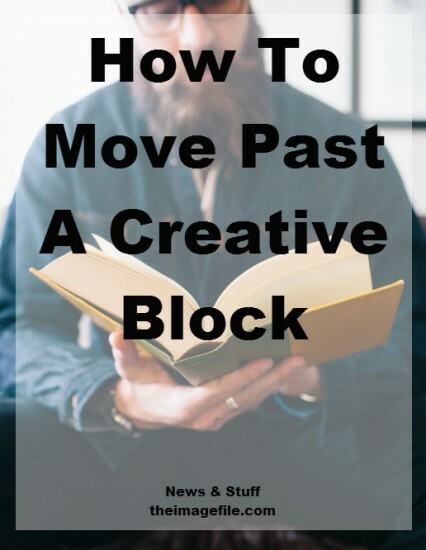 Regardless of how long you’ve worked within the photographic industry I’m assuming you’ve experienced what is commonly known as a ‘creative block’. One minute you’re working at full speed ahead, and the next you’re staring at a blank wall wondering if you’ll ever have a worthwhile idea again. Don’t worry it happens to the best of them, especially after an extended break like Christmas. However if you’re working within the creative industry, like a photographer, it can be a stomach-churning moment and throw up various concerns. Does this mean you’ll miss your deadlines? Will this ‘mind blank’ cause loss of income? Before you start having a crisis, just stop and breathe, because being able to move past a creative block is actually quite easy. Often a creative block can be caused by something as simple as falling out of the habit of creative thinking, or even being overworked and needing a break. But it’s worth considering if there is a more deep-seated reason for your block. Are you nervous about an upcoming project? Are you having doubts about something? Has your confidence been knocked by a bad experience with a client? Uncovering the real reason why you’re having this block means you can deal with it and move past it. As a child, play is crucial to your development, and believe it or not, it’s crucial to your development as a creative entrepreneur. Of course as an adult play is probably very different to what it was when you were a child. Perhaps it’s having friends over? Taking a long solitary walk? Maybe crafting? Or simply playing with your kids? Whatever it is, find something that takes you away from the pressures of work. Photography can be a very solitary profession. Maybe because the quintessential image of an ‘artist’ is someone holed up in the middle of nowhere honing their craft? However, regardless of whether you prefer to work alone of in a team, one of the easiest ways to move past a creative block is to bounce your ideas off of someone else. This could mean attending a workshop? Or having a chat with a fellow creative friend? Listening to a Ted Talk? How do you wake up you’re creativity when you hit a wall? Are there any inspiring articles, Ted Talks or workshops you’ve read/attended recently?